If your existing concrete pool is in drastic need of a facelift, Synergy will have it looking good as new in no time! The most common culprits of renovation are dislodged or crumbling tiles, broken coping or decking, and worn plaster – all of which can be brought back to life by Synergy. 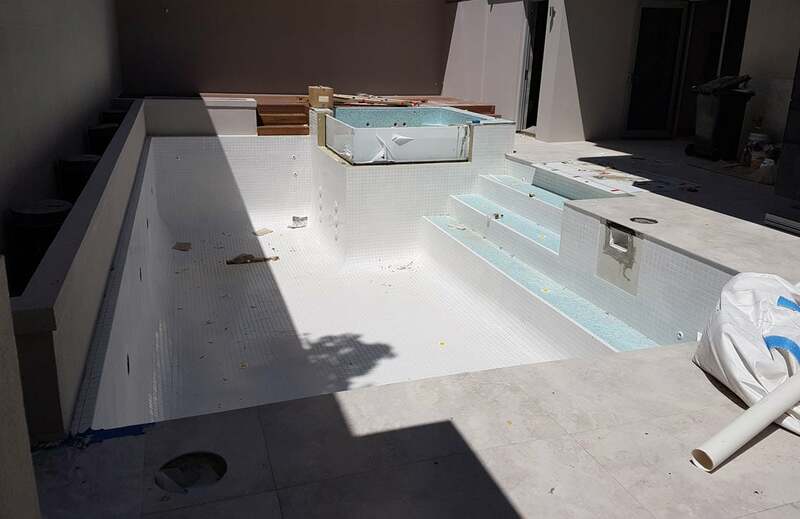 At just a fraction of the cost of replacement, our pool and spa specialists can drastically improve the look and lifespan of your existing pool or spa. We will bring samples of materials to you, so you can select a style and texture that complements your outdoor space! We will also complete a comprehensive assessment of your entire pool to ensure it is in full working order prior to signing off on the job. Before you look anywhere else, contact Synergy – you will not be disappointed with our personalised service and standard of results. Call us today to arrange your free at-home consultation, and let us tell you how we can breathe new life into your existing pool! 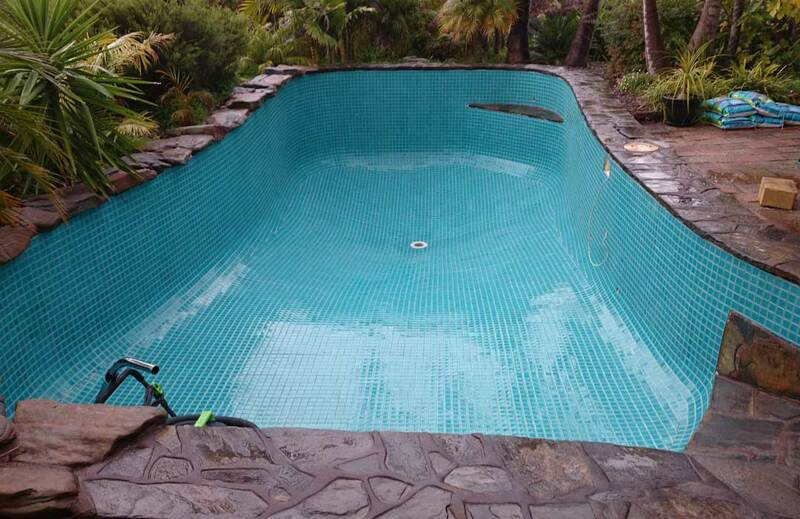 Synergy are experts in restoring even the most weathered pools and spas – with surface treatments, rust, and leak and crack repair services, we will work to bring your pool back to its former glory. Need better filtration too? Done! We can bundle a package to suit your exact requirements and budget. Our skilled technicians are trained in troubleshooting mechanical and material insufficiencies, and work to restore your pool to beyond its original state. In the event that we cannot repair a piece of equipment or surface area, we will provide a quote for replacement for you to consider prior to commencing work. No job is too big or small for Synergy, and we will not stop until you are 100% satisfied with the standard of work and service you have received – that’s our promise. Here at Synergy we believe that Swimming Pool ownership should be a pleasant experience. Let us take the hassle so you can use the pool for what its for, pleasure! With Over 10 Years Construction and Maintenance Experience we for see the issues you might have later and address them in the construction process.